One time star of the Patriots twin tight end attack Aaron Hernandez, who was arrested last June for his alleged role in the execution-style murder of 27-year-old Odin Lloyd, a minor league football player, has been charged with involvement in a 2012 double murder that took place on the streets of Boston. 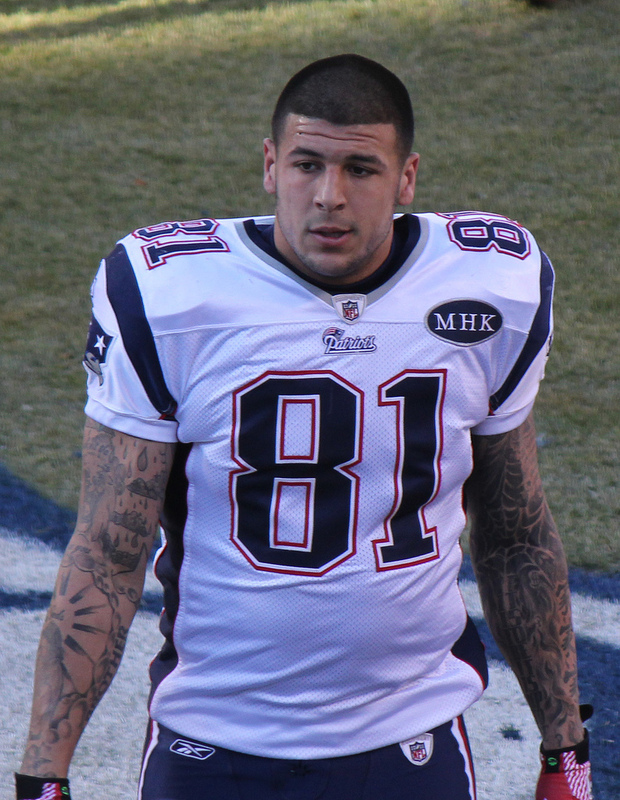 Hernandez was involved in an incident with the pair Daniel de Abreu and Safiro Furtado, and according to the Suffolk County District Attorney, the Patriots player ” followed in an SUV, then pulled up alongside the vehicle and fired multiple shots from a .38 caliber revolver into the passenger’s side” as de Abreu and Furtado drove away from the club. Boston Police Commissioner William Evans described the incident as follows: “This was a chance encounter where two young men … basically had an encounter that led to their deaths,” per The Washington Post. 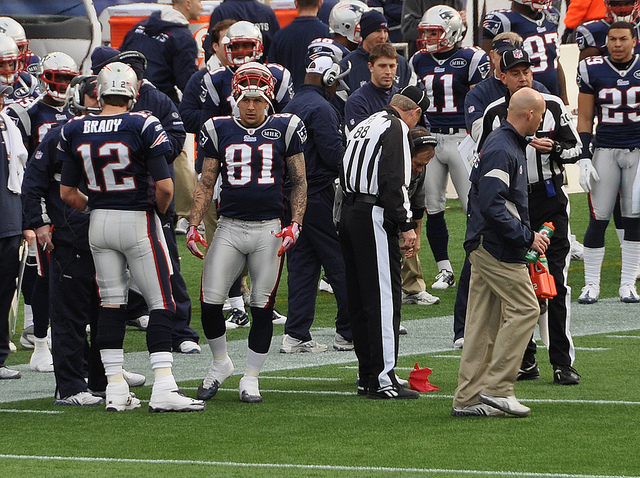 So far, the evidence against Hernandez, helpfully compiled by Deadspin, has mounted. The SUV used in the slaying was found at a Connecticut home belonging to Hernandez’s uncle, the gun was found in the possession of a woman who said that her football player friends owned it, there’s video footage of Hernandez and company leaving the bar early then circling around until the victims left, and one of the survivors has gone on the record saying he saw Hernandez pull the trigger. That’s all pretty damning, despite the fact that Hernandez is going to enter a not guilty plea according to his legal representation. It also casts a shadow on Hernandez’s last year in the NFL, the 2012-2013 season that saw him battle injuries on the way to a 483 yard, five touchdown season that was the first after he signed a mammoth extension with the Patriots, worth up to $40 million. For his part, Hernandez has roundly claimed innocence in both cases — albeit through his legal team. The former NFL player has also been charged with the assault of another inmate, as well as threatening a correctional officer at the Bristol County House of Corrections where he is being held. The tight end was considered a steal when he was drafted by the Patriots, dropping to the fourth round because of a variety of character concerns.